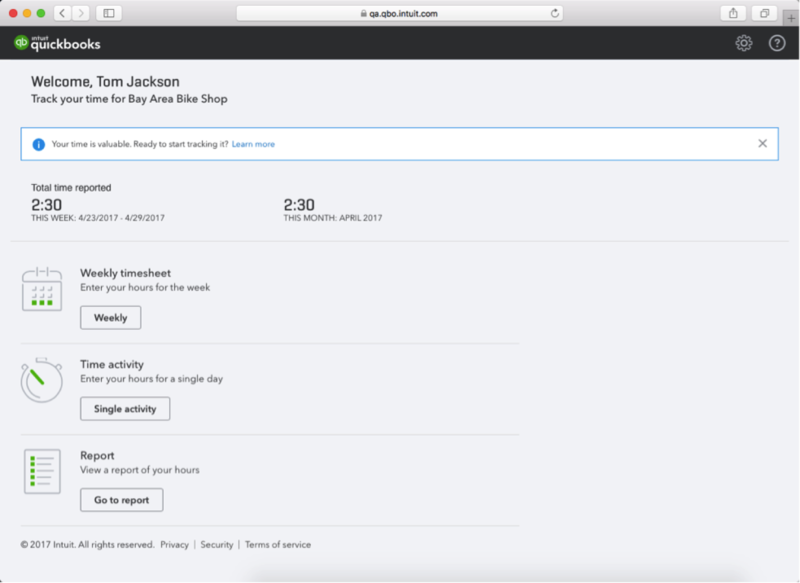 Based on feedback from our customers, we’re making changes to Time Tracking in QuickBooks® Online. 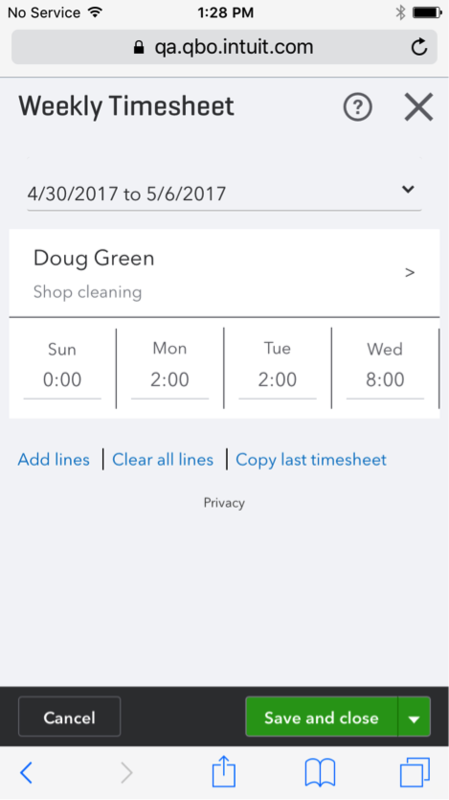 It will still be fast and easy to add hours to daily or weekly timesheets, but it will now sport a fresher and cleaner appearance. As a valued partner, we’re giving you advance notice because your clients look to you for updates on products, services and technology available to assist them. The upgrades, and a notification to your clients, will roll out over the next few weeks. 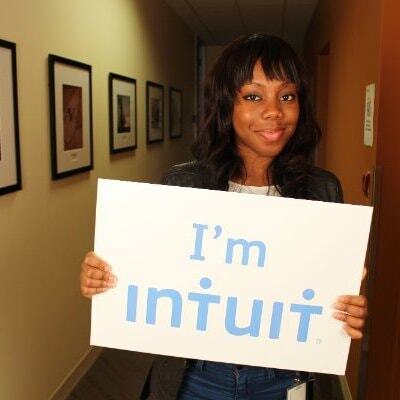 This is a change for more than 170,000+ time-tracking-only QuickBooks Online (QBO) Plus customers worldwide. 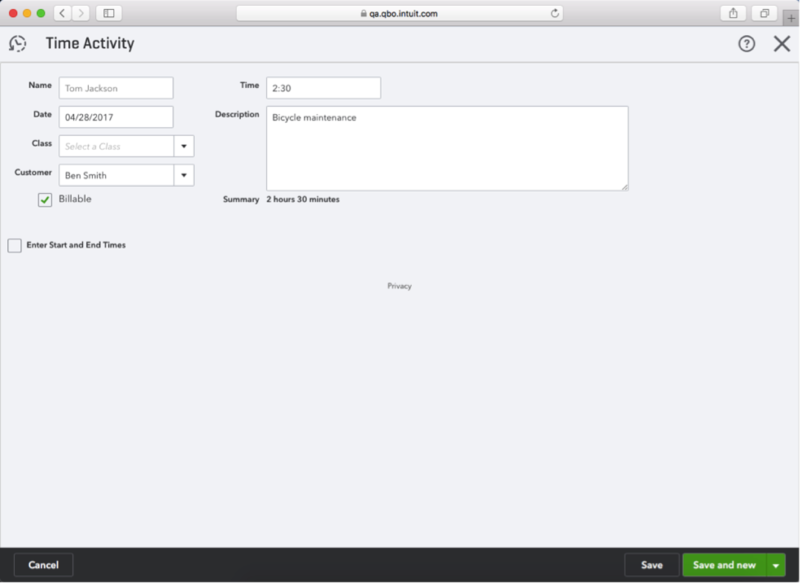 While time tracking will still be fast and easy, it will now sport a fresher appearance that takes on the QBO look and feel you have become accustomed to using. 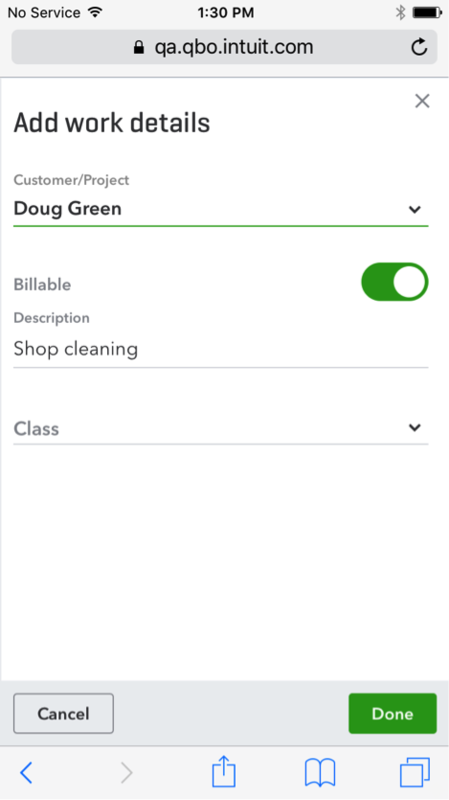 For QBO users who only primarily are interested in employee time tracking, the look and feel, and the usability of this feature, is updated to provide you a more responsive experience and the ability to log in from mobile devices anywhere, anytime. 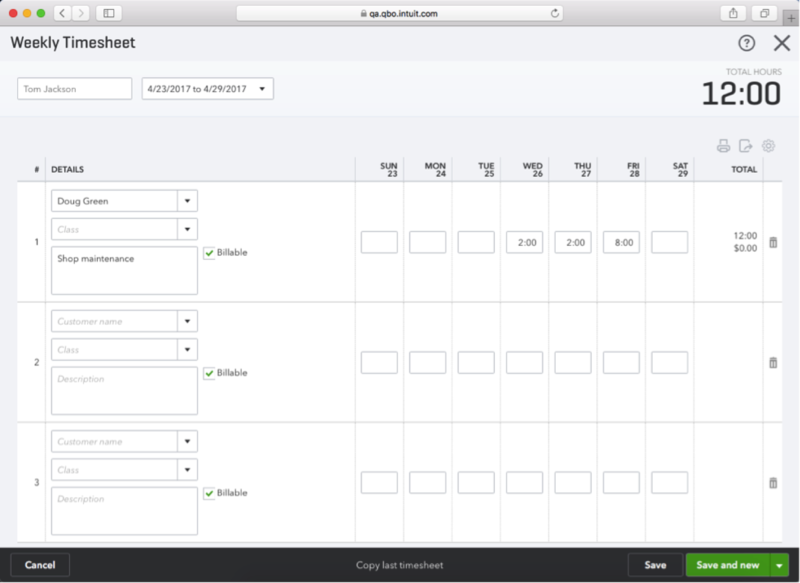 In addition, time-tracking employees can submit weekly timesheets, enter single time activities and make these time entries billable to a specific customer. A summary report of the time activities submitted will also be available. Here’s another benefit for small business owners. 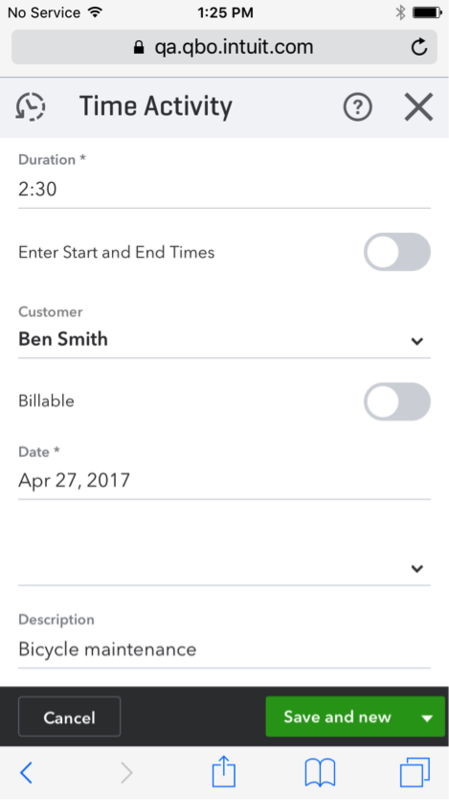 Unlike other QBO roles, such as “company admin” or “customer & sales,” time-tracking-only users are non-billable, so small business owners can add as many time trackers as they need to run their business! 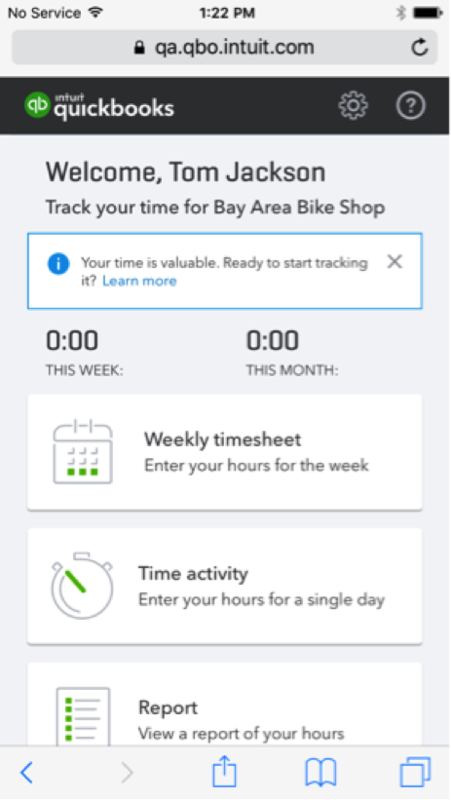 Of course, these powerful and exciting new features for the time-tracking experience would not be possible without your loyalty to us and your consistent feedback. Thanks for your input, and feel free to let us know how you feel about these enhancements. We are always looking to improve your experience!